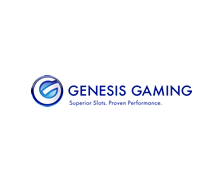 Genesis Gaming was formed in 2008 and are a video slot content supplier to the online, social and land based casino industries. Their staff have a land based casino background so have developed games to appeal to all audiences. With a strong catalogue of slots available in social casinos, their focus has shifted more online as they offer bespoke games for special markets and online casinos. An up and coming software provider, Genesis Gaming all their titles are available to play across desktop, mobile and tablet devices. They have a strong relationship with Unibet Casino who offer exclusive games such as Mirror Magic and Temple of Luxor. You will also be pleasantly surprised that they have a wealth of options when it comes to slots, covering all type of themes. For a wide range of Genesis Gaming slots, Video Slots Casino has plenty on offer with nearly 40 games on offer (at time of writing).